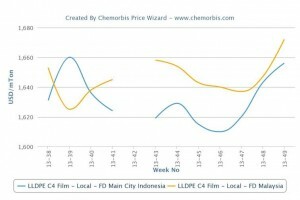 Players in Southeast Asia have started to report higher local PP and PE prices for December as per ChemOrbis. Although demand is not considered all that promising, regional producers are seeking price hikes as the persistent firming trend and better buying interest in China helped them reduce their stock pressure. The depreciation of local currencies against the US dollar also was also blamed for the recent increases. 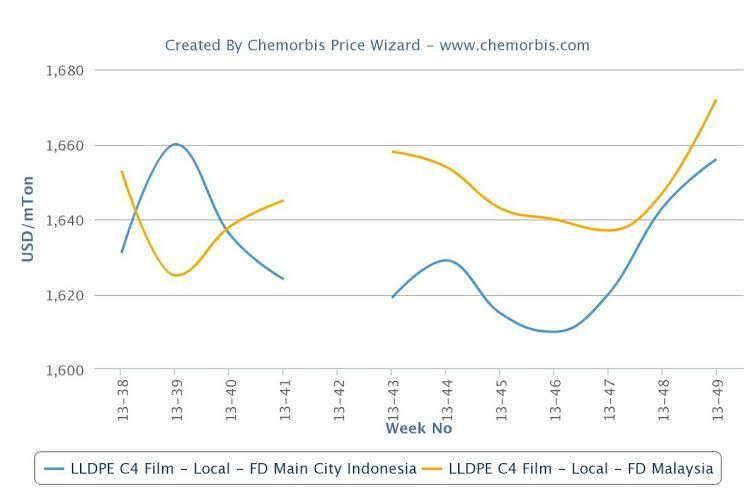 According to ChemOrbis Price Index, local PP and PE prices posted increases of up to $36-37/ton in the past two weeks in Indonesia. As for Malaysia, PP gained $26/ton in the last two weeks while PE registered larger increases in the range of $35-57/ton. A distributor based in Jakarta, Indonesia reported that they raised their PP and PE offers by $20/ton this week. “Our domestic supplier informed us that they have limited stocks as they increased their sales to China and they did not let us pre-book any orders,” he commented. He expects the local market to remain stable to firm in the near term as import sellers mostly prefer to divert their cargoes to China due to better buying interest and a stronger netback. “Now that the import market is retaining its strength, we hope that buyers will return to replenish stocks from the local market as demand was very thin in Indonesia during November,” he added. A Thai distributor also said that they received THB1000/ton ($31/ton) increases from a domestic producer. “We believe that lower end prices will gradually fade from the market as some medium sized converters have been out of the market for some time and will need to replenish soon,” the distributor stated.